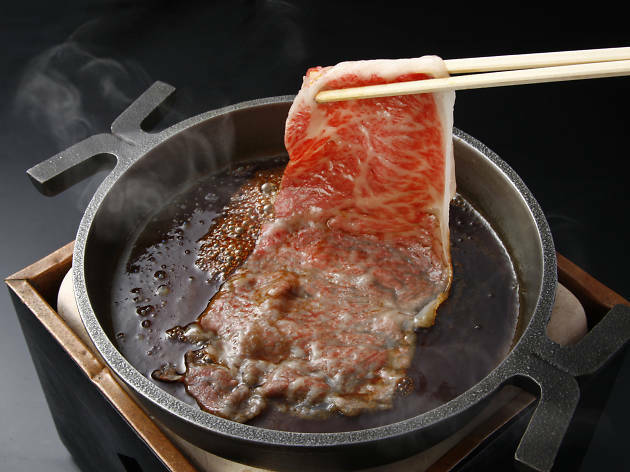 Yokohama was the first area in Japan to begin experimenting with beef after the Meiji Restoration in 1868. 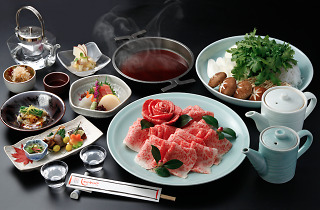 One of the most popular dishes that emerged was gyu-nabe (literally 'beef hot pot'). It features beef slices cooked with several other ingredients such as negi (Japanese leeks) and shiitake mushrooms in a soy sauce-based soup. 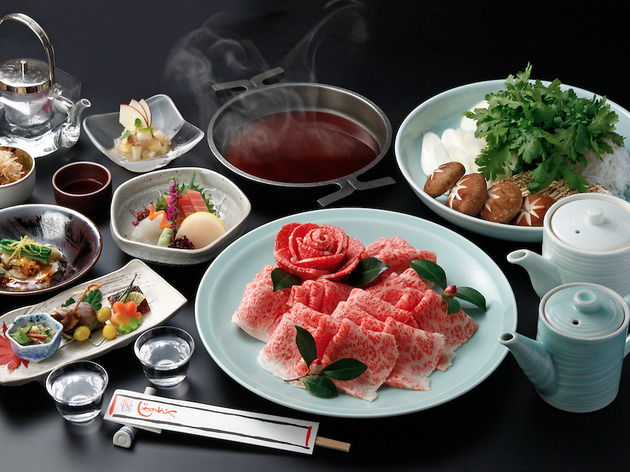 Today in Yokohama, you'll find several restaurants that have been serving gyu-nabe since the Meiji era, with one of the most popular being Janomeya. 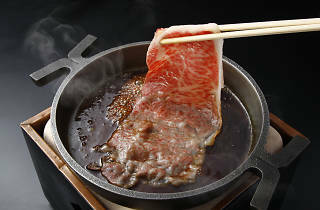 Established in 1893, this restaurant offers gyu-nabe and shabu-shabu (thinly sliced beef boiled in a broth), both featuring authentic A5 ranked domestic black-haired wagyu. Booking is essential: email info@janomeya.com with your name, the date and time, the number of people, and your phone number.